When you own The Sims 4 City Living you can start collecting Snow Globes. They are scattered across San Myshuno in boxes. Some are only retrievable when visiting particular festivals. 15 different Snow Globes can be found in this world. 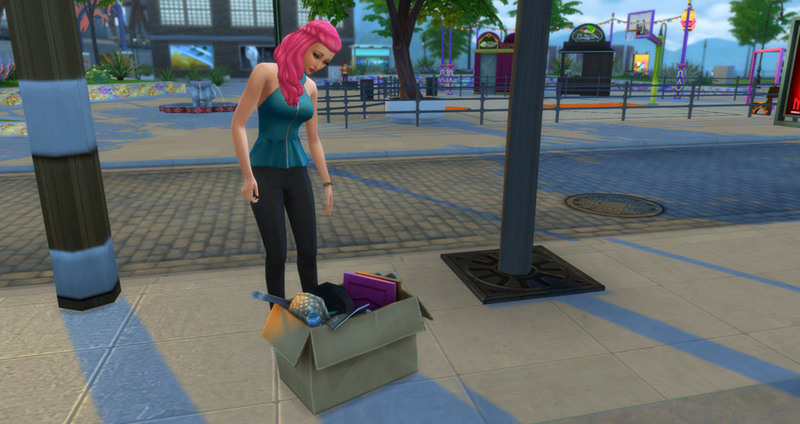 Walk around in San Myshuno and find Boxes o’ Junk. The collectibles can be found by rummaging through Junk Boxes on the sidewalk! Search trough them for a chance to find one of the collectibles. Snow Globes can also be found at the Flea Market Festival in the Spice Market. Buy or trade your Snow Globes with other festival goers. You can even sell them at the Flea Market! You can also unlock all the Snow Globes with the Buy Debug mode cheat (adds extra objects) found on the Cheat Code page. Place them in your Sims’ inventory to collect them. 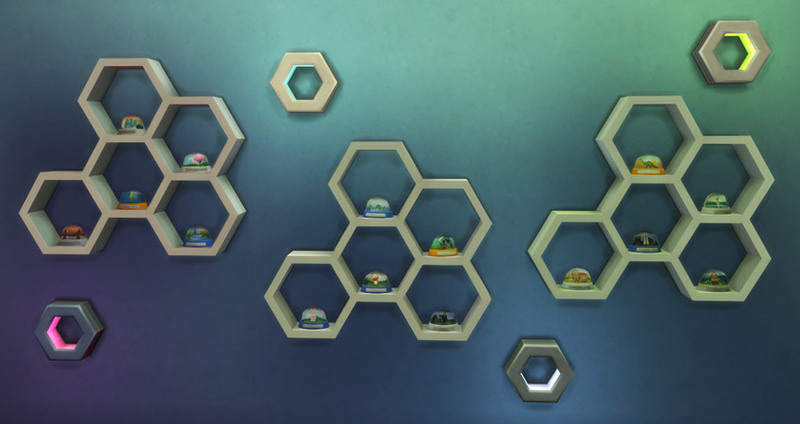 You can unlock 15 different Geodes in San Myshuno. The City Skyline Snow Globe features the bustling city’s towering buildings. At this size, the scope can be realized in a way that’s just too big in real life. Breathe it in and adore its beauty. While the Haunted Mansion has some similarities to the Goth House in Willow Creek, it’s not based on their house. The Goths are actually really sweet and quite alive. Well, until they die. Then the similarities are purely coincidental. The Newcrest Snow Globe features the iconic pink willow tree indigenous to this suburban neighborhood. Folks all around town gather under the tree to catch some shade or take pictures with this cotton candy-like vegetation. Except this one is trapped in a miniature sphere. The Newcrest Snow Globe is featured at the Romance Festival. Crossing the bridge to get to the city has never been more miniature! Instead of spending time in the slow, torturous traffic, just dream about it as you gaze into the headlights crossing the bridge. Then promptly smash the little bridge into thousands of pieces. The Willow Creek Lighthouse has been a beacon for ships passing through transporting goods into the small harbor. While the lighthouse hasn’t been lit for 34 years, the light has been captured in this tiny, memorable snow globe. The Tudor House represents the charm of Windenburg – quaint, simple living. Living abroad can be quite different from living in the city. Cherish this small memento as the life you wish you had. A lovely depiction of Yuma Heights in miniature form! Reminisce of simpler times and create new memories as you look fondly at this globe in your collection. Emily has been around for hundreds of years, lurking the waters of Windenburg. She emerges every 52 years to greet the citizens of the city, but she’s usually met with fright, horror, and disgust. So she submerges back to the depths of the sea to build up the courage to face those who may one day accept her presence in the land from over the pond. The Emily Snow Globe is featured at the GeekCon. Freezer Bunny’s are notorious for being cold and cute. This one, trapped in a globe, is no different. It is a snow globe, after all. The Freezer Bunny Snow Globe is featured at the Spice Festival. The Magnolia Steamboat runs along the river down Magnolia Promenade. The boat stops frequently so Sims can tour the numerous retail shops and take in the scenery. Stanley the Jackalope is said to watch over Granite Falls. In the still of the night, Stanley would watch over nearby campers, ensuring bears steer clear of Sims enjoying nature’s beauty. Well, except for Sims in bear suits. He can’t do anything about those nerds, unfortunately. The City Skyscraper Snow Globe displays one of the iconic skyscrapers that adorns this city. Its beauty is captured by the radiant lights, illuminating the architecture of Uptown’s proud monument. The City Skyscraper Snow Globe is featured at the Humor and Hijinks Festival. The Limited Edition Age of the Dinosaur Snow Globe is as rare as finding an actual dinosaur fossil! Depicted here is one of the great beasts in its final moments. Once you grab a hold of this highly collectible globe, don’t let it go extinct! The Limited Edition Plumbob Snow Globe contains a rare plumbob, forged from the heart of the planet. The green plumbob spiritually represents control over one’s Sim-self, fulfillment of one’s whims and aspirations. Encapsulated in this beautiful, gold snow globe, this exquisite piece is a keeper for any real collector. The Limited Edition Reaper Snow Globe is absolutely to die for. It’s so rare, many Sims would kill for it. If you’re ever lucky enough to find one, reap the rewards and hold on to this one-of-a-kind collectible! 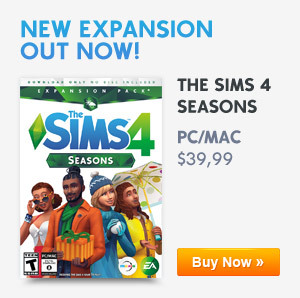 Previous ArticleHow to optimize your home with Lot TraitsNext ArticleWin The Sims 4 City Living! What shelf is in the picture that’s used to display the snowglobes? I can’t seem to find any junk boxes. I don’t have any sims living in the city currently, but every time I travel there there are no posters in the things and no boxes on the ground. I also haven’t seen any festivals. Am I missing something? I’m pretty sure you probably need to be living there. How often do snowglobes spawn? Once a week or once a day like other collectibles?